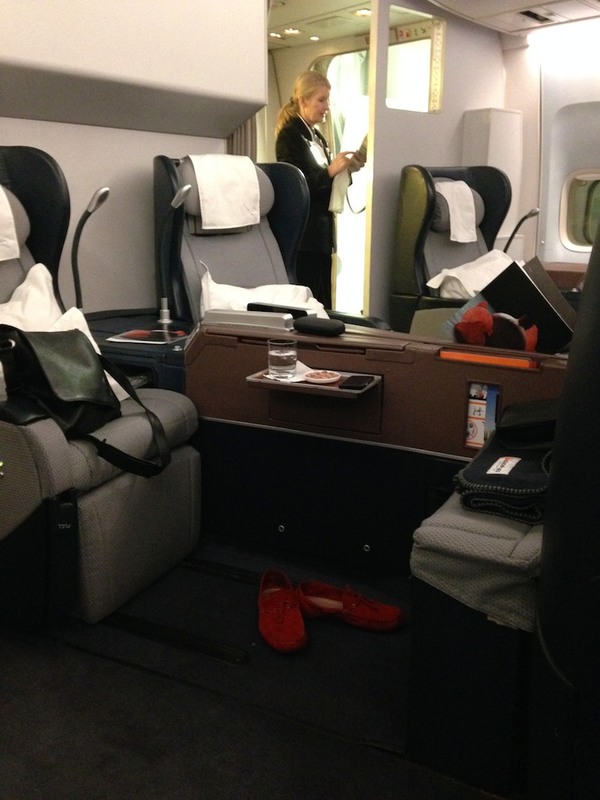 Returning from Hong Kong recently, my travel was booked into Business Class but I was travelling on one of the once or twice weekly services operated by an old configuration 747 rather than an A380. 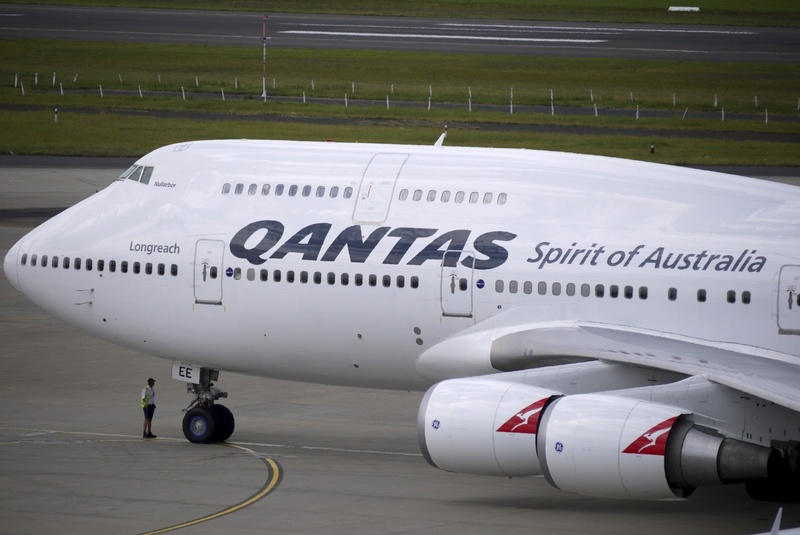 Qantas have slowly upgraded the majority (if not all) of their 747-400ER fleet, leaving a handful of 747’s which will operate for another few years, tops, with a 4 class configuration Qantas’ First Class product on their 747’s is significantly different, and much older, than that in the A380, but I will still interested to try what was at one point the flagship experience of Qantas’ international operations. 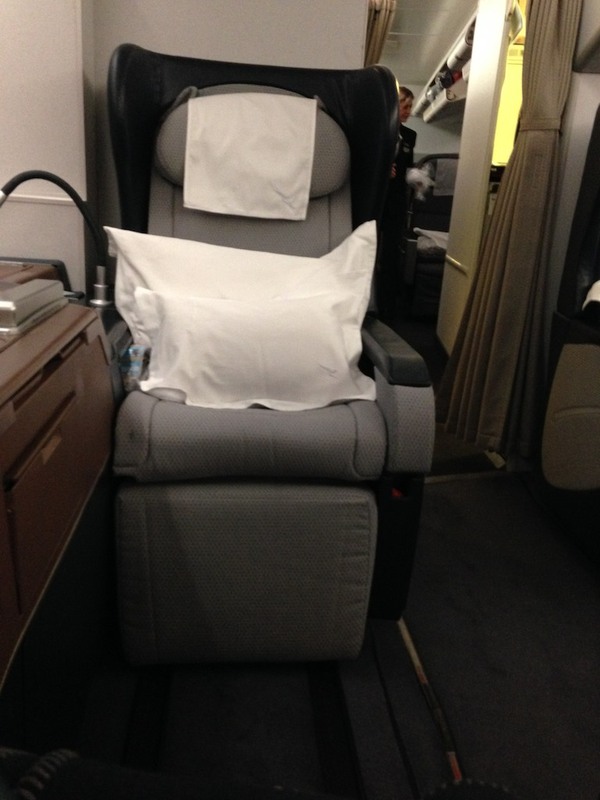 I used 25,000 Qantas points to upgrade myself on QF128 into First, from Business Class for this 8 1/2 hour flight. I requested the upgrade around a week before flying, and it came through in the usual 24 hour window when Qantas’ systems process their international upgrades, leaving me one seat only available to select – 3K, the third row back on the right-hand side. Given my observations on the flight, this is better than the middle seats for a solo traveller, but seats 4A and 4K would have had more personal space, while 1A and 1K would have been far more private. It’s worth making clear up-front that my main objective for the upgrade was to get some extended rest rather than spend a couple of hours sampling the (very appealing) menu up front. QF128 has a scheduled 8.15pm departure, landing around 7.30am in Sydney. Given the availability of Cathay Pacific’s excellent lounges in Hong Kong which I could access as a Qantas Gold Frequent Flyer, I ate well at a normal hour in the lounge and then headed off to board. 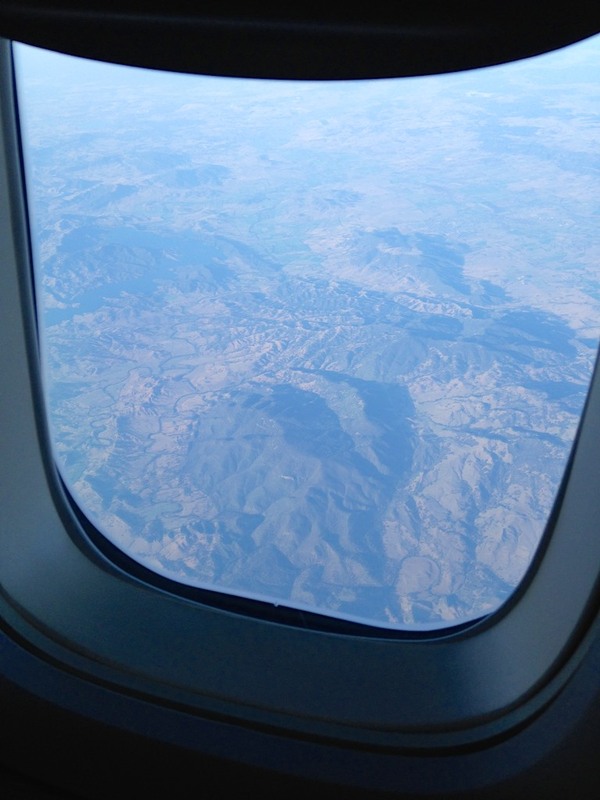 I did have my ‘good’ camera on me for this trip, but I felt very self-conscious of taking pictures as the cabin was completely full, very quiet, and my camera makes a good solid shutter noise – and I was conscious of other passenger’s privacy flying in First. 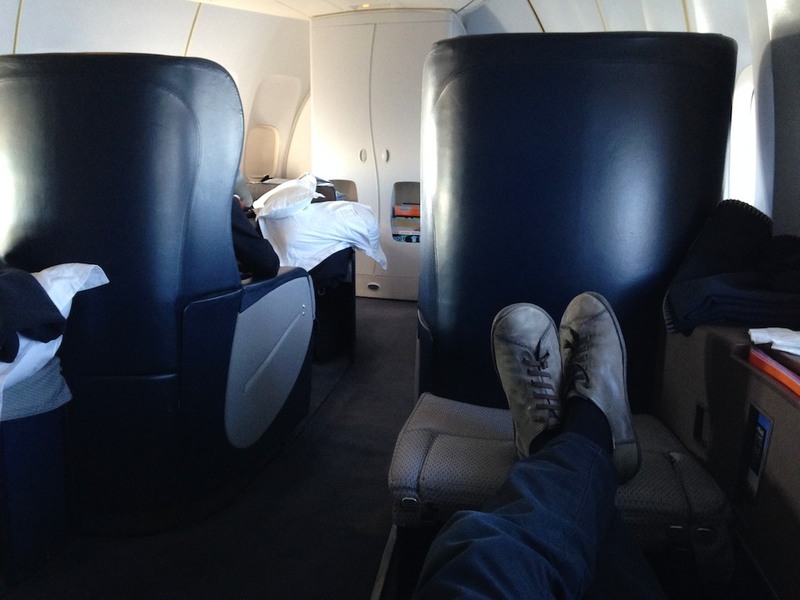 I was second to board, but the cabin filled up quickly after me. 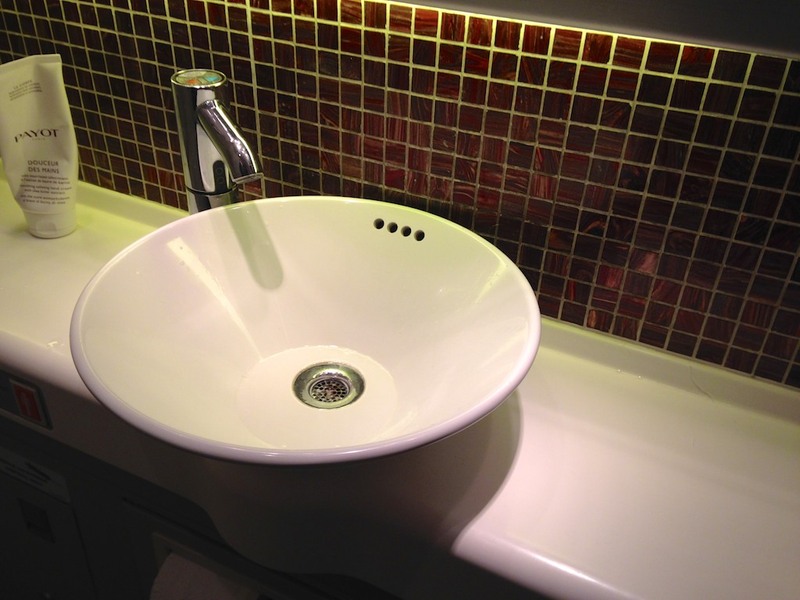 After take off drinks ‘from the bar’ were offered – I asked for a sparkling water which was served with no issue. 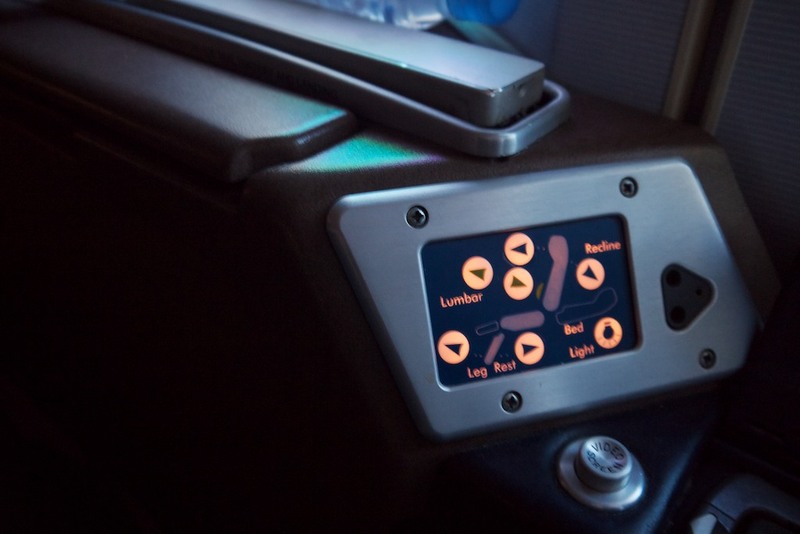 Seat controls – I was just happy they all worked flawlessly! 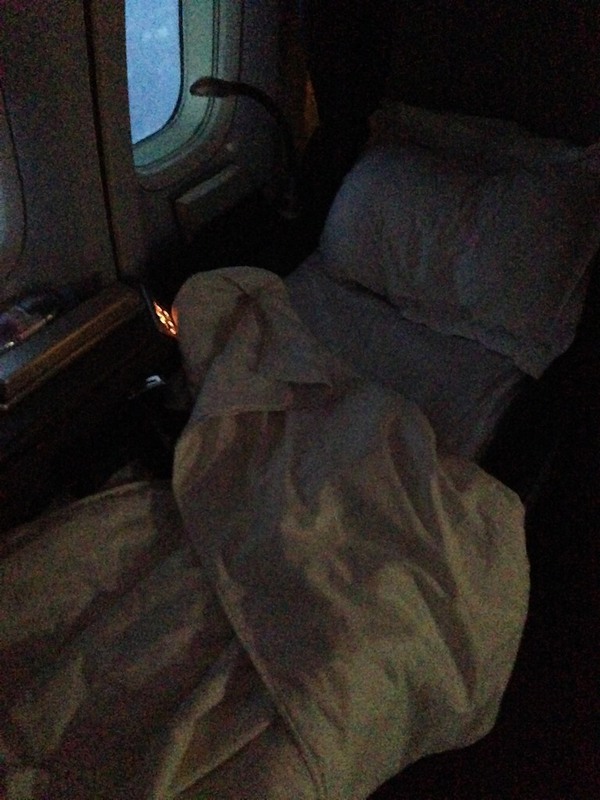 Shortly after the seatbelt sign was turned off I got the crew to make up the seat into a bed. This consists of a 1/2″ thick lambswool mattress pad, with a bottom sheet that folded in half on my right-hand side to become my top sheet too. On top of this was a light blanket, and added to that were the two pillows that were already in place on my seat on boarding, one small and one large. The large pillow was used as a pillow while the small one was placed upright behind it to prevent slipping up the bed and your head hitting the seat behind, or the large pillow falling in a cavity. 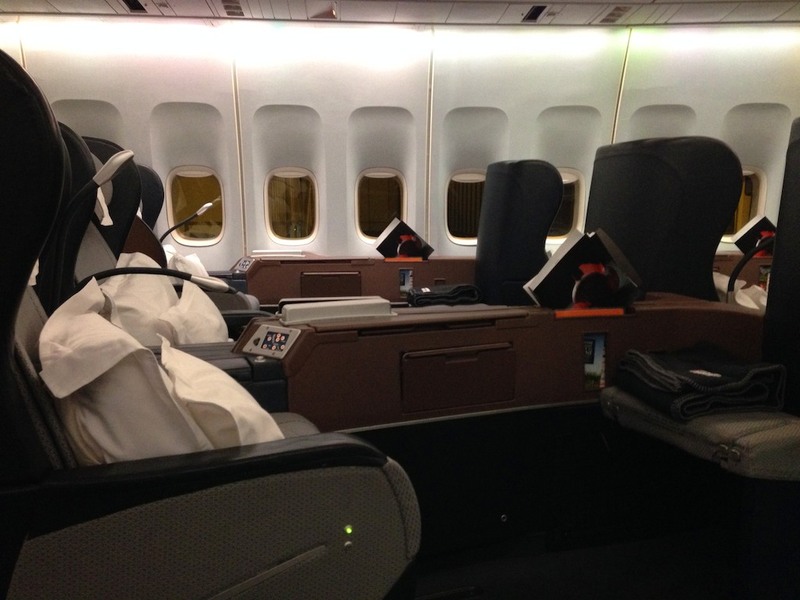 The effect was amazing – a great step up from the Skybed Mk 1 seats in Business Class on the same plane. This was exactly the right angle to feel fully flat, so although I think we were flying at a very slight nose-up attitude, I literally felt like I was in a (somewhat narrow) hotel bed. The mattress pad I think was the killer ingredient, and the use of wool would mean that it naturally wicked any excess warmth or moisture away from the body. 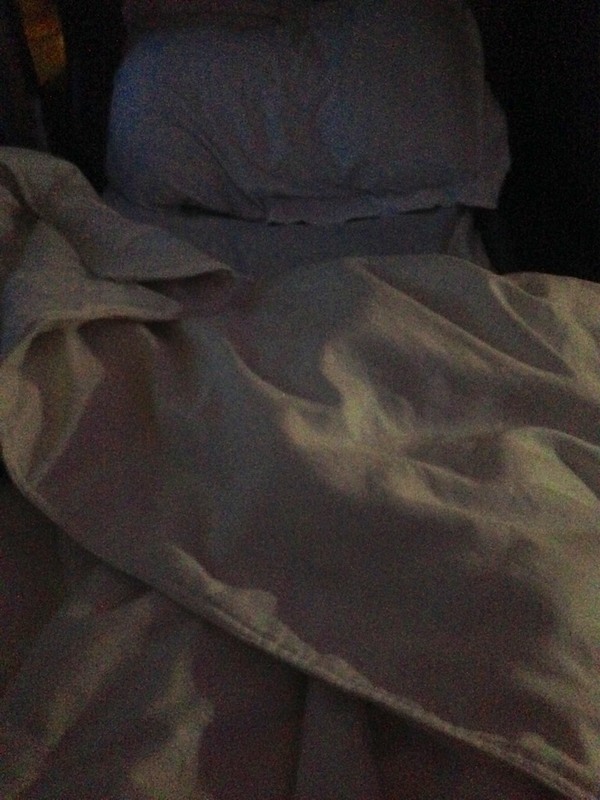 At one point I woke up a little warm, but otherwise I was as comfortable as I’ve ever been on a plane – sleeping for 6 1/2 hours on a 8 1/2 hour flight. After my solid sleep, the most underwhelming part of the service came next, with a light breakfast on offer only. 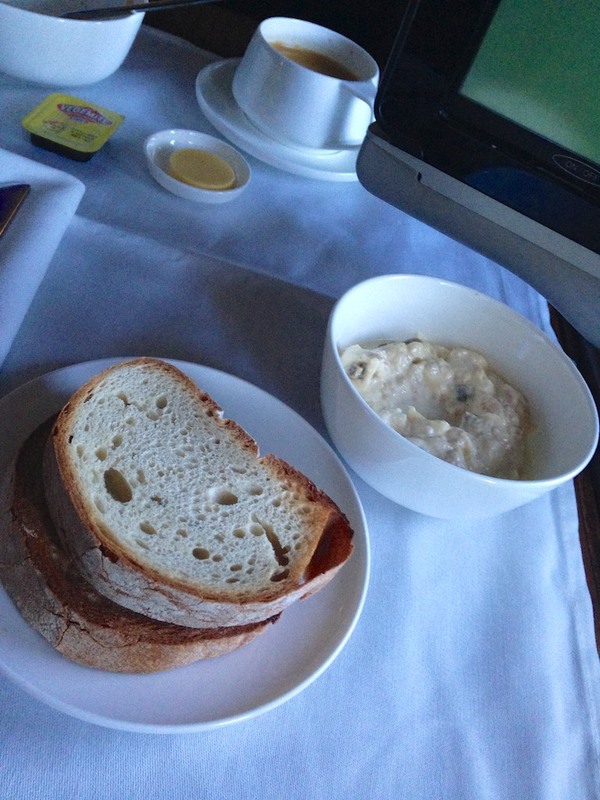 This is also the case in Business Class on QF127 – I really didn’t like the look of anything on the menu, I think there were some eggs maybe as a warm option but it was pretty paltry. I get that Qantas aim to over-deliver on the evening meal service, but when that’s served from 11.30 Sydney time for a 7.30am Sydney arrival, I think Qantas need to also offer a decent breakfast for those who don’t want to partake of the evening meal at that time. I just can’t sleep immediately on a full stomach. 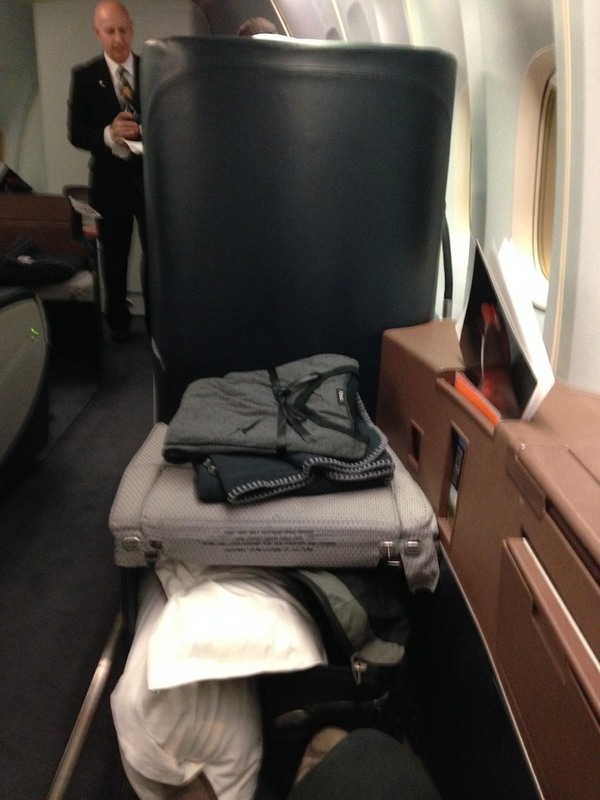 As I said earlier, I used 25,000 points to upgrade from Business Class – so the question for me is was it worth those 25,000 points, not was this worth First Class money or 90,000 points on a First Class redemption. In answer to that – most definitely, yes. I’d had a stupidly busy two days, was keen for the rest and came home relaxed. 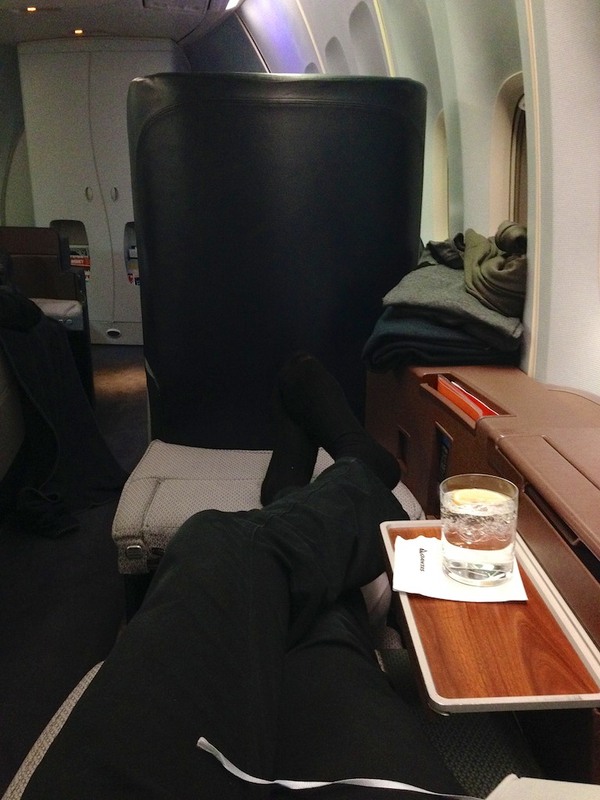 More so than had I travelled in Business Class – probably, yes. 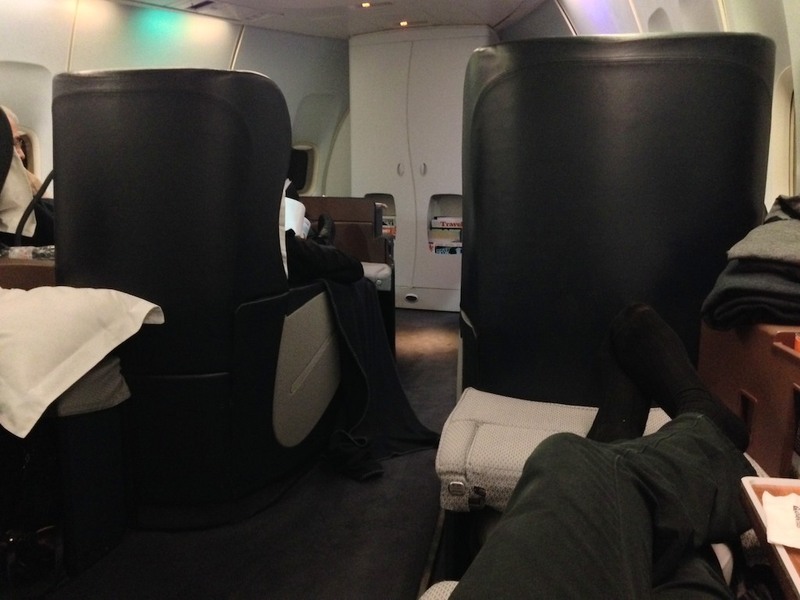 Would I spent 90,000 points to redeem for this flight, say when compared to the A380? Probably no, I’d aim for the A380 for the extra space and comfort – I’m yet to experience the First Class on the A380 on an overnight flight so couldn’t comment definitively though. 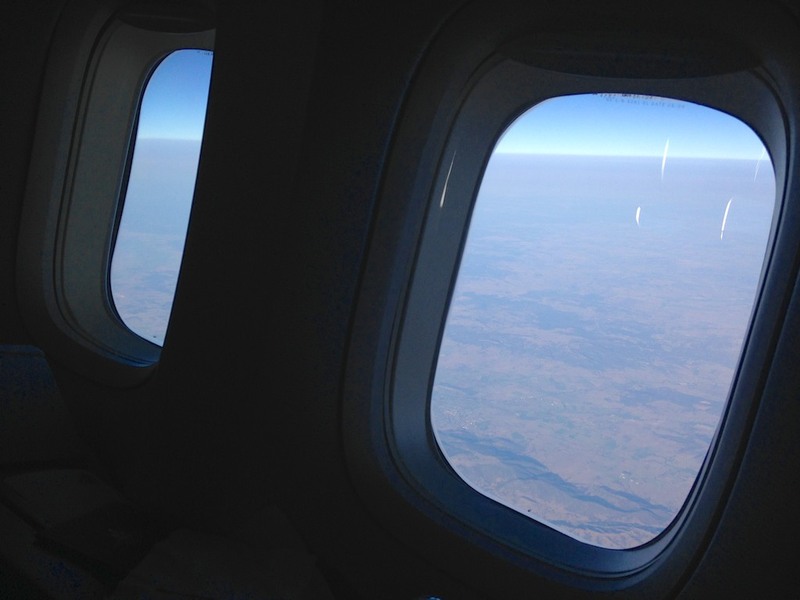 If it came down to it, I wouldn’t be too disappointed about ending up in First on one of Qantas 747s – while ageing, it’s still extremely comfortable, spacious, and sleep-inducing. worth noting you had access to the Cathay Pacific first class lounges as a Qantas first class passenger, rather than lounge access as a Qantas gold frequent flyer which by itself would have only entitled you to business class (not first) lounges. To be honest, I think as a Qantas First passenger with no status you’d only be able to access the Qantas lounge in HK, no CX lounges. 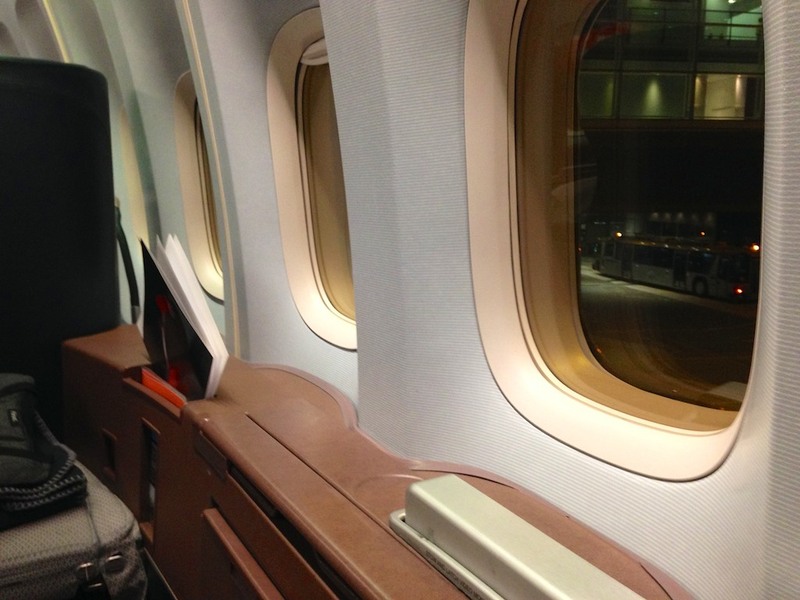 Fortunately I was travelling with others (and have QF Gold) so was in The Wing, both Business and First lounge. Just not sure without status, if travelling on QF, you would actually be allowed in to a CX lounge. Well done on the snaps… and shoes.